Welcome to my small collection of Pokémon Engines for your fangames :D Today I will be providing many links for you to use to your advantage. Please take the time to read this and feel free to ask any questions regarding what to use or if you have problems downloading stuff. there are some outdated links in this thread. What is a fangame? What is the difference between ROM Hacking and Game Development? These are common questions I get from users who are potentially interested in making a game, but tend to be drawn off because hacking "looks easier," when really it's a lot harder and more limited. Game Development is writing a game from scratch, essentially. Daunting? Nay, only if you wanted to really start your own engine. Many people online have had similar interests and created their own public kits for others to use. PE has significantly become more stable and newbie-friendly within the last year or so, with the successor Maruno taking charge of the project. The latest versions have many bug fixes and new features, but are definitely geared more towards a sad 4th generation styling. The only downsides I see with PE is that it is made in RPG Maker XP, which uses Ruby (RGSS) language, and the lack of a realistic DS-like 3D engine. I highly doubt it will ever get to the point where it will have such 3D (excluding the horrific Mode7 and its variants). The great thing about PE though is that it?s already made for you to start working on your game, with some considerable progress. Unfortunately, the engine has its bugs, along with messy coding that can be a pain to navigate through. A prime example would be Battle Factory, which has apparently never worked since Poccil, the original coder, spawned it. The games can also lag when making large maps or using newer graphics. I will say I am impressed with its variety of sound files it supports, ranging from MIDI to MP3 to OGG files. I give PE a 7/10 for being Newbie-friendly and stable. A: First off, you need RPG Maker XP, which in this case you can pay $60 for the full version or use the 30-day trial. Do not ask me how to get the full version for free. Q: Help? I don't know how to use this! Perhaps reading some tutorials on general RPG Maker XP (RMXP/RGSS/RPGXP) usage will help. If that's not the case, check out the official Wiki; it has great tutorials and information! A: I'm sure a lot of you won't be able to code DPPt/HGSS/BW/2 style games right away, which is why I am sharing a few kits I've collected. There are a few I don't mention just because they are gross and I don't feel you should use them at all. This is not an up-to-date version, and the next release won't be until all the menus are completed. I only recommend using this if you are making something small or need tilesets/maps. Not too far from being finished, this is my own engine using PEv.7, and is made to play almost exactly like a GBC Pokemon Game. There are some faults, such as modified menus due to my inexperience or the buggy camera, but they can be fixed with some skill?I think? (Buggy) ? This is what Rafael-animal posted before he decided to try and make money off of his kit. It can be laggy and the battle system needs a bit of tweaking, but here it is. Note: Sukiyami is working on something better, but there is no guaranteed release date or much progress lately. 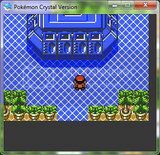 Pokemon Essentials Online v0.8 (by Alexandre) ? Dusty, decrepit, and outdated; I don?t know why anyone would use it. Battling doesn?t work correctly, and it?s extremely hard to set up. There are other similar projects being made, but none with definite release dates. Feel free to check it out. It may serve some usefulness in the future. 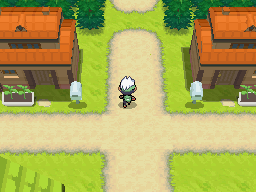 The Script Project is a French game development community that has been working on their own RPG Maker XP Pokemon Kit. It has had fantastic updates, with a great DS engine that came out way before Essentials started updating. It also features a dual screen by default. My only complaints are that it is in French only and can be rather unstable, but it has much higher script compatibility, being more RPG Maker XP oriented and not so much on text files with a completely rewritten engine. There is an English translation started in 2011 by Pia Carrot and Sukiyami, however, there is no established date of release. Game Maker is a pretty beautiful and simple game designing program. It has 3D support, and can be manipulated to look just like a DS dual screen. There are several projects online, but they seem to all have major flaws. There are two specific ones I have absolutely fallen in love with, and I hope I can somehow combine them once the main battle engine one is complete. These projects are made by DaSpirit and Manuel777. DaSpirit?s kit has many severe bugs to the point you cannot make a playable game with it. Bugs include, but are certainly not limited to, Lack of leveling up properly, enemies don?t actually die, cannot exit a battle (if trying in a trainer battle it will glitch up). 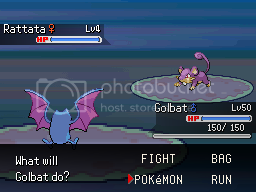 However, it has a very nice BW-esque battle system and has a lot of potential for the future. The other kit I mentioned has absolutely no battle system, but instead a DP 3D map engine. It was made in GM6, and I cannot seem to get it to work for myself, but when I do I?ll update you guys. Renekokkie's BlazeRuby and AquaSapphire have made amazing progress. Gmk users - Thanks Mocgames998! Please, do post what you think about it, so i can improove, fix, update, etc..
Python Pokemon is a project being worked on by our very own Full Metal. He decided he really hates Ruby/RGSS, so he decided to make his own engine (I guess). So far it?s in a fairly early stage, with him having to rewrite code. However, he has made fantastic progress. I have had the pleasure of trying out the engine in private. I?ve never attempted it myself, nor do I plan to. Basically there have been projects made in a flash player, but I?ve yet to see one myself. I?ve never attempted it myself, nor do I plan to. Basically there have been projects made in an android app, but I don?t own an Android or an iphone so I can?t say anything about these. They tend to not really be Pokemon, but rather spin-offs to avoid copyright infraction. This kit was announced by Crazyninjaguy shortly after RPG Maker VXA was released. It's been making splendid progress and we hope to see a release soon. This kit was announced by Tsuka. Unfortunately, his activity is long-gone and there is a large doubt we'll ever get to see this engine released. Thanks for reading. It was a pain in the arse to write and I hope you found it helpful. It will be updated accordingly and more info/downloads will be added at a later date. Please feel free to ask questions here or leave me a VM/PM. great thread mate! Is there any further updates since posting? I am wanting to work with unity 3d over game maker, but have considered either a viable option shy of simply coding the game engine from scratch in unity3d. This list is kind of old, and really only goes over existing Pokemon Engines. Some of these have since been abandoned so I don't really know what works or what doesn't. You are better off making your own engine from scratch or using Pokemon Essentials.